In mathematics, “buildings” are geometric structures that represent groups of Lie type over an arbitrary field. This concept is critical to physicists and mathematicians working in discrete mathematics, simple groups, and algebraic group theory, to name just a few areas. Almost twenty years after its original publication, Mark Ronan’s Lectures on Buildings remains one of the best introductory texts on the subject. 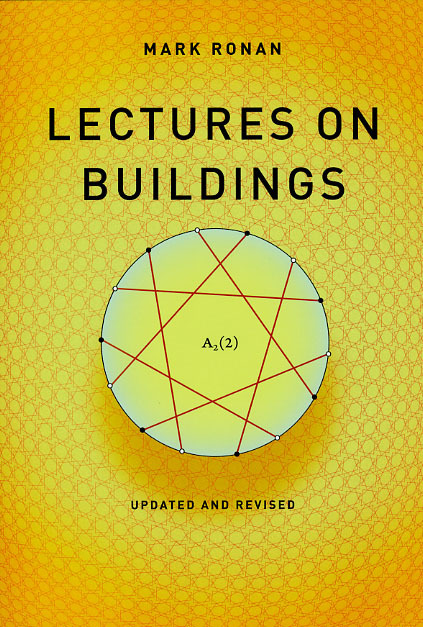 A thorough, concise introduction to mathematical buildings, it contains problem sets and an excellent bibliography that will prove invaluable to students new to the field. Lectures on Buildings will find a grateful audience among those doing research or teaching courses on Lie-type groups, on finite groups, or on discrete groups. 5. residues, rigidity, and proj.